Jewish Home leader says Opposition leader Yitzhak Herzog a great choice to lead Jewish Agency to try to mend relations with Diaspora. 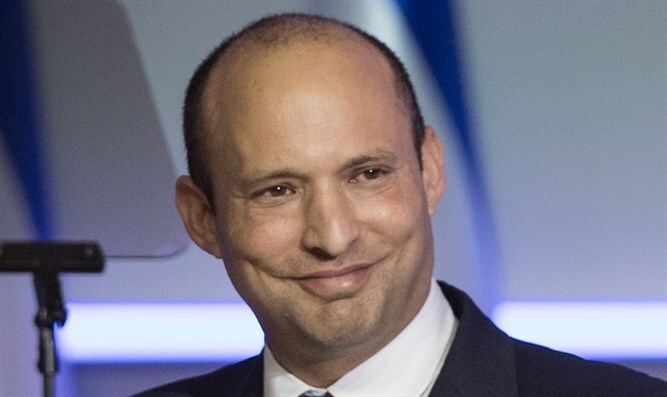 Minister of Education and Diaspora Affairs, Naftali Bennett, welcomed the appointment of Chairman of the Opposition, MK Yitzhak Herzog, as Chairman of the Jewish Agency. "The Knesset lost an excellent parliamentarian; the Jewish people earned a man of vision and action," Bennett said. "Greetings to my friend, Opposition Chairman Isaac Herzog, for his selection to head the Jewish Agency. "The Jewish Agency has earned an honest person and man of values, who will contribute greatly to the consolidation between us and our brothers in the Diaspora. Especially now, when the relationship between the State of Israel and Diaspora Jewry faces significant challenges, I am certain that Herzog will be able to create a true bridge between us and world Jewry. "Herzog, as a former Minister of Diaspora Affairs, is one of the few people who fully understand the importance of this connection to the future of the Jewish people. "The Knesset may have lost an excellent parliamentarian, but the Jewish people have earned a man of vision and action."